I think about a teenage boy named Bounmy, who left his village in Laos to find work in neighbouring Thailand. He signed on to work on a fishing boat, with the assurance that he would be paid for all of his work once the boat returned to shore. He was tricked. A girl forced into prostitution learns to weave at a trauma recovery centre in Phnom Penh, while awaiting the trial of her alleged abuser. I've been summoned for jury selection. This morning, I reported to the Superior Court of Justice in downtown Toronto, ready to dig in for an unspecified length of time. I'll be here for at least a week, to be considered for a number of different jury panels. I may be chosen, or sent home at week's end. I'm told there will be a fair bit of waiting around. I've brought my lunch, and a very long novel. My colleagues are prepared to cover for me in the office. I've organized after-school care for my kids and put a number of volunteer activities on hold. Despite the upheaval, I'd be proud and happy to serve on a Canadian jury. For one thing, I'm fascinated! For another, jury duty is a small price to pay to help keep the wheels of justice turning here in Canada. It's something many people around the world never get a chance to experience. The dictionary definition of "justice" is this: the administration of law, especially the establishment or determination of rights according to the rules of law or equity. There's also a second definition: the principle or ideal of just dealing or right action. In short: the Canadian legal system strives to make sure that law is administered fairly, according to the ideal of dealing with people and situations fairly. Sounds dull, no? To many of the people I've met in my travels with World Vision, this "justice" is a difficult concept to understand. It's something from another world. It's so far-removed from their daily lives that you actually have to explain what it means. This is especially true for child labourers. I've learned of too many cases where justice for exploited children is blocked, threatened, or never even considered in the first place. "She was put in a garbage can," said my World Vision Bangladesh colleague, Jamila Akhter, with tears welling up in her eyes. 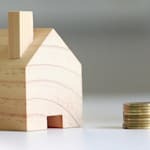 She was referring to an eleven-year-old domestic worker in her country, a servant in a private home, who toiled long hours for pennies a day. The Bangladeshi press reports that the girl had been "tortured" by her employer, her body slashed in multiple places and burned with a hot iron. "They just threw her away," said Jamila, her voice breaking. "Like she counted for nothing. Where is the justice for these children?" Adhuri survived her abuse. Her case has received such publicity that the perpetrators will be tried in court. The administration of law will likely occur according the rules of law in Bangladesh, should the perpetrator not attempt to pay off the girl's family, as often happens in such cases. But what about the second part of that justice definition? The principle or ideal of just dealing or right action? Is it possible that any court verdict will give Adhuri back the girlhood that's been brutally beaten out of her, and erase these memories from her mind? For every child slave whose case is heard in court, there are untold thousands of exploited labourers who never receive justice of any kind. I think about a teenage boy named Bounmy, who left his village in Laos to find work in neighbouring Thailand. He signed on to work on a fishing boat, with the assurance that he would be paid for all of his work once the boat returned to shore. He was tricked. Bounmy was kept at sea for nine years. The fish was removed on a smaller boat, so Bounmy and the other boys would never get close to shore. He and the other slaves worked shifts up to 20-hours in length. At gunpoint. Bounmy, now in his twenties, no longer works on the fishing boat. But he never received justice for those nine years of forced labour. Bounmy was arrested after the boat's motor broke, and it was sent to shore for repairs. He had no passport to present to the Thai police. World Vision worked to free him, and help him build a life as an adult. Bounmy is now free in one sense: he's no longer enslaved on a fishing boat. But no one was tried. No one went to prison. And even if his captors were apprehended, who can give Bounmy back his boyhood, and restore the nine years that he's lost? In some cases, justice for exploited labourers can only be administered by travelling a terrifying path. I think of the young girls I met, former sexual slaves, now living at World Vision's Trauma Recovery Centre in Cambodia. They come here to heal, continue with their education, and remain safe until their case comes to trial. 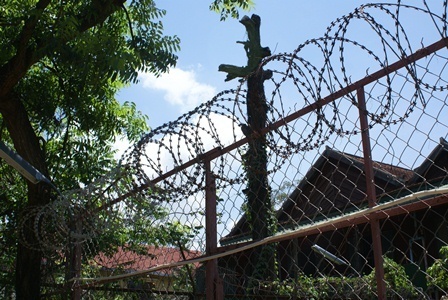 Barbed wire surrounds the Trauma Recovery Centre in Phnom Penh, to help keep sexual offenders from reaching the girls to bribe them. I wondered, at first, why the place was surrounded by such high walls, and encircled by barbed wire. I learned it was for the girls' protection. It's not uncommon for sexual predators scheduled to be tried in court for the girls' abuse to try to break into the centre to reach them. The goal is to pay the children off -- a fairly easy thing when their families are so poor -- so they'll choose to forgo their day in court. Inside the centre was a 15-year-old girl I'll call Mao. She told her story quietly, while clutching a stuffed bunny. Mao was so small. It was too painful to even picture what had happened to her. But it would have been worse to imagine her case never reaching the courts, because she was overpowered yet again. Because they're kept safe for the months before their trials, many of these girls do reach their court dates. "Five or seven years ago, it would have been unheard of for a young girl to stand up for herself in court," says World Vision Cambodia's Ray Sano. "But they're using their voices." I wish every child who was exploited had a chance to use their voices. But even more, I dearly wish that laws protecting the world's children were upheld to begin with. That they wouldn't ensure abuse at the hands of adults because it's just plain wrong. I'll think of Adhuri, Bounmy and Mao as my time in court unfolds, and say a prayer that true justice will one day be served -- for them and for millions of other children.